And we're back. Last week, we discussed the birth and evolution of the TV narrative drama concluding with the rise to prominence of "Breaking Bad" and "Game of Thrones." This week, we complete that story. Black Mirror/American Horror Story/True Detective: In 2011, the BBC premiered "Black Mirror," an anthology sci-fi show that was like what would happen if "The Twilight Zone" was written by Friedrich Nietzsche. While it was initially cancelled, the first two seasons gained a cult following on Netflix, causing the streaming service to pick the show back up as an original series. That same year, FX's "American Horror Story" launched and quickly gained a similarly dedicated following. While the series was an anthology show, it approached its storytelling differently. Instead of having one story per episode, it had one story per season. Once the first season ended, the next would introduce a completely new setting, characters and even sub-genre of horror. Three years later, HBO's "True Detective" came along and did the exact same thing. These shows proved that mini-series style storytelling could be applied to long-running shows and be profitable. Thus, the concept of the season-by-season show has seen an uptick in popularity with shows like "Fargo" and "American Crime Story." Netflix Streaming: In 2007, Netflix, which had mostly been in the business of shipping DVDs through the mail, launched a streaming service by which you could watch shows and movies wirelessly. It was like on-demand and DVR except it didn't require a cable subscription. The company practically shot up to dominance within the next decade, running video stores practically out of business, spawning competitors like Hulu and, most importantly, completely changing the way people consumed television. Before Netflix, if you wanted to watch a show, you had to either wait week-to-week for new episodes or go out and buy a boxed set. 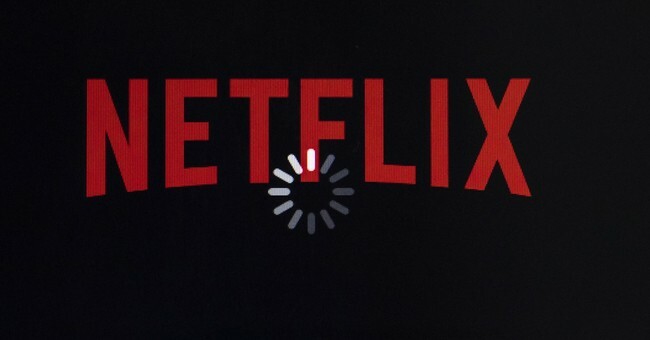 With the introduction of Netflix's pick-and-choose streaming model, people were suddenly able to binge their favorite shows (or film series) for hours at a time. While this way of watching shows could hypothetically benefit any show, it was particularly helpful for shows that told one continuous story. Sitting down to watch something like "Breaking Bad" for a chunk of time would help the watcher get caught up in the momentum of the story as well as help them keep track of it better than if they watched it week to week. Netflix, Hulu and other streaming services must've recognized this because most of their original content tells one story. That way, customers can watch it almost like a film. Where Are We Now? The default format for pretty much every show these days is a long-term story. On one hand, this is good; a show such as "The Marvelous Mrs. Maisel" that tells a contained narrative allows more opportunity for writers. They're no longer obligated to go to Hollywood to get out a large-scale idea. In fact, Hollywood has now become the smaller option if you want to tell a bigger story; they're limited to about two and a half hours at most whereas shows can have 8-10 hours per season if they want. However, there is a problem that has come with these shows: they go on forever when they really shouldn't. Showrunners these days seem to want to recreate the appeal of shows that tell a contained story, but still want the potential for profits that can come with an episodic show. Therefore, nobody involved seems to question how the story they set up is supposed end. You can generally tell when somebody has thought through the arc of their story and when somebody most definitely hasn't. Surprisingly, the area where this mistake is being made the least is the medium of animation. Yes, there are plenty of animated shows that also refuse to die, those seem to be the exception rather than the rule these days. Shows like "Bob's Burgers," "Adventure Time" and the new "Ducktales" have set themselves up to last mainly by sticking to the same rules "Cheers" did: it's okay to have continuity, but it's not the most important thing in the world. Just set up an interesting world and have the characters go on adventures within that world. Now What? : Like all artistic trends, the proclivity for long-running stories in television will disappear just as easily as it came. When that does happen, it'll be because people finally caught on to writers' tendency to not think ahead, mark my words. If TV networks and streaming services are truly concerned about prolonging the inevitable, then they're going to need to start learning from the mistakes of other shows. First, accept that the show will have to end eventually. I know that executives like to imagine a fantasy world where shows can go on forever in lucrative harmony, but that's not the world you, I and every other human being except Nicolas Cage inhabit. Secondly, think about how you want the story to end instead of slapping one together last minute. When you actually have an arc planned, it shows in even the earliest episodes of the show. Go back and watch the first few episodes of "Breaking Bad" and tell me you can't see the seeds of the end planted from the first scene. Spontaneity in art is important, but not planning ahead for a long story is just being lazy. It's disrespectful to your audience who have invested in your characters. It's a waste of your talents because you could be doing better. And it has a high possibility of being a waste of time for everybody if the final product is undercooked. Let's not leave behind a legacy of mediocrity or garbage. Let's just do the best we can, yeah?